When life gives you lemons, save some seeds and plant yourself a lemon tree! If you always wondered how to grow a lemon tree even if you do not live in a hot tropical area, you have arrived at the right place. We have a comprehensive guide to lemon tree cultivation and plenty of tips on how to take care of a lemon tree. Let us see a few facts about them and learn how to make these wonderful fruity plants important members of our gardens! You may not know this, but lemons and American history have a powerful relationship. First created by a cross between a citron and a lime, lemons made famous and exciting trading merchandise between the Arabs and the Europeans. Lemons arrived to the New World by courtesy of Cristopher Columbus, who transported them to the new land during his second voyage in the 15th century. People quickly understood that lemons and health also held an intimate relationship. Full of vitamins and able to balance more acidic bodies, lemons were the top treatment for scurvy. During the great California Gold Rush era, miners consumed plenty of lemons to keep themselves safe from this common disease. Fast forward to present days and you will find lemons as an integral part of healthy diets, natural cosmetic products, and homemade and pharmaceutical remedies. While their reputation revolves around the high levels of Vitamin C, you should also know that lemons also contain riboflavin, thiamin, vitamin B6, potassium, copper, calcium, folate, iron, magnesium, pantothenic acid, and fibers. These are all fine arguments to compel any individual with a green tumb to learn how to grow a lemon tree. Let’s go through the basics. One of the first things you need to know about lemon trees is that they sport glorious deep green glossy foliage, snowy white fragrant flowers and bright yellow fruits to keep you healthy. For you to enjoy these glorious ornamental fruit trees, you need to know the basics of how to grow a lemon tree at home. The most important thing to take into account when learning how to grow a lemon tree is the quality of the soil. You may transplant a nursery-bought potted lemon tree to place it in your garden. You may try growing it from seeds or cuttings inside your house in a container. All these methods have greater chances to work if you build your lemon tree a solid thriving foundation. This means the soil needs to be well drained and slightly acidic. Perform a soil test when you decide to grow the lemon tree. 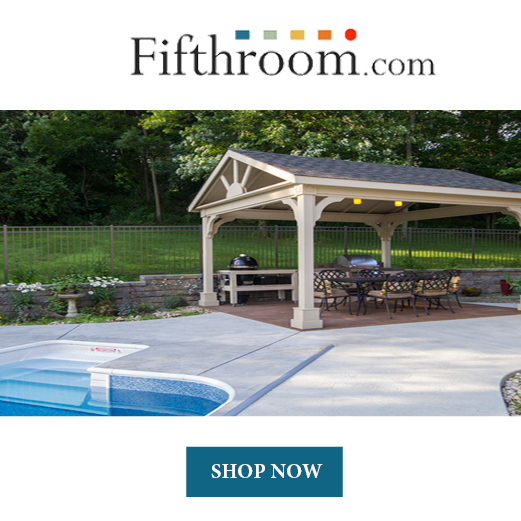 You can amend the soil accordingly to reach the perfect pH level for your tree (they prefer a pH level between 5 and 6.5). If you plant the lemon tree outside, remember to keep it slightly higher than the ground level. Dig a rather shallower hole in comparison to the length of the root ball. Place the tree in the hole and tamp firmly until you stabilize the tree. For those of you wondering how to grow a lemon tree indoors,the procedure is simple and quite straightforward. Start by picking an organic lemon seed, because lemons grown in non-organic manners rarely produce germinating seeds. Pick a 24 inches wide by 12 inches deep container. Allow the organic seeds to dry a little for a week or two. Choose the potting soil correctly: it needs to be slightly acidic and fertile. 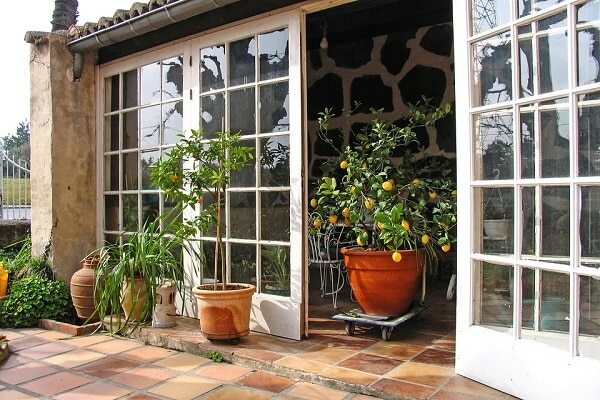 Mulch and compost are your best bets when you grow lemon trees inside the house. Cover the container with a clean and clear plastic sheet/wrap. Set the pot in the sunniest location in the house. If you want to take the tree outside, wait for it to reach 6 to 12 inches in height before transplanting it. Whether you plant the lemon tree outside or inside, the rule of thumb is to keep the soil well drained, fertilized, and evenly moist. There is no secret that lemon trees love sunny and hot weather. However, this should not make you give up on your plans of having your own lemon tree. You just need to be careful. Weather and placement go hand in hand in the case of lemon trees. This is why we will treat them together. Lemon trees are extremely vulnerable to cold and frost. When you grow them outside, pick the sunniest and hottest area on your property (the south side of your home). For adequate growth, you should plant them near the house to avoid wind and frost damage. Lemon trees fare well within an average temperature range of about 70 F. (21 C.) throughout the day and 55 F. (13 C.) during the night. When temperatures fall below 55 F. (13 C.), lemon trees go dormant. 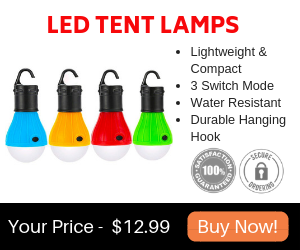 This is why you may also consider adding fluorescent growing lights to the bed or row where you cultivate them. When you grow lemon trees indoors, keep them in an area of your house that receives plenty of natural sunlight and heat. If you want to take your indoor lemon tree outside, remember to complete this operation during warm months to boost the tree’s chances of bearing fruit. Specialists recommend taking the potted tree out because it does not benefit from bees and pollinators inside the house. At this point, we need to answer a frequently asked question: how large does a lemon tree grow? The answer depends on plenty of factors, but we will keep things simple. If you offer your lemon tree the best conditions, you can expect it to grow 3 to 5 feet in height when you cultivate it indoors as a houseplant. 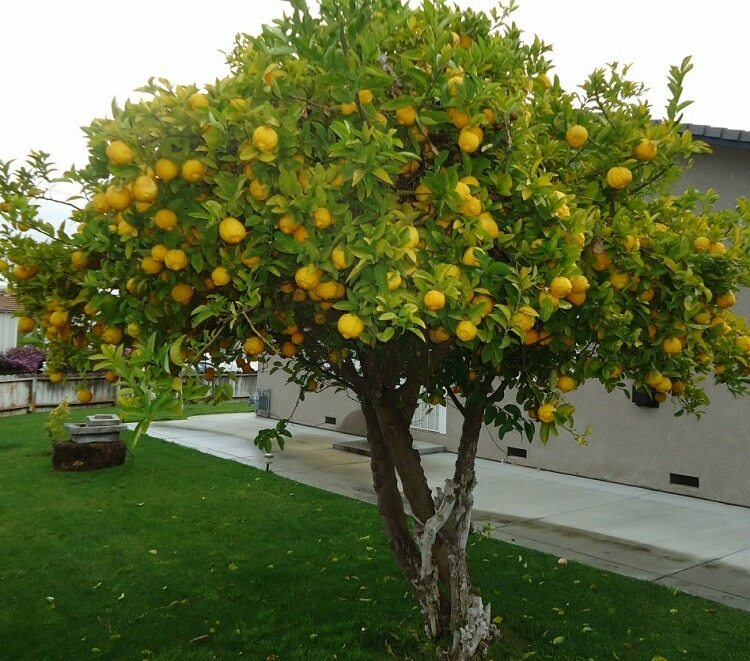 In perfect weather, soil, water, and fertilization conditions, an outdoor lemon tree can reach up to 10 feet. Both indoor and outdoor lemon trees need proper moist and watering. Here are some tips and tricks you need to keep in mind when you grow lemon trees. Outdoor lemon trees need deep, infrequent watering rather than frequent shallow You should water your lemon trees at least once a week. Indoor lemon trees do not fare well in the house interior natural dryness. This means you should mist your lemon tree once a day at a minimum. For a more accurate measuring, water your outdoor lemon tree when the soil is dry 6 inches deep. In both potted and outdoor lemon trees, mulching is of the essence. 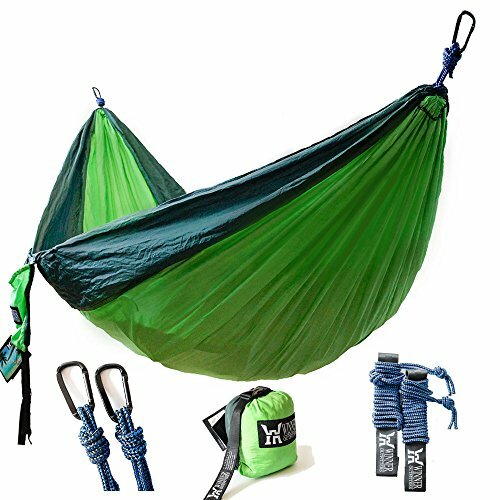 It will protect the soil moisture, fertilize the roots, and keep the trees safe from pests. Lemon tree pruning should begin in the tree’s first year of life. You should train it to grow how you want as early as possible (but not under one year of development). If you cultivate outdoor lemon trees, keep them at a maximum height of 8 – 10 feet to simplify your life and make the trees easy to care for and harvest. Do not rush into pruning healthy branches. The rule applies no matter if you grow your lemon tree in the house or the garden. Dry, yellow, wilted leaves are a sign you may have abused water or, on the contrary, you may have used too little water than recommended. Pick up the yellow leaves and see if the tree perks up after watering. Some people swear by talking to your indoor lemon tree. Giving your tree attention and affection seems to have positive effects on its healthy growth. Of course, paying daily attention to your tree also means you are able to catch early signs of illness, pests, discomforts, and so on. However, if you love your plants and use to talk to them, they say lemon trees appreciate witty conversations. As we said, lemon trees love fertile soils, mulch, and organic compost. You can start feeding your tree once it develops its first leaves. 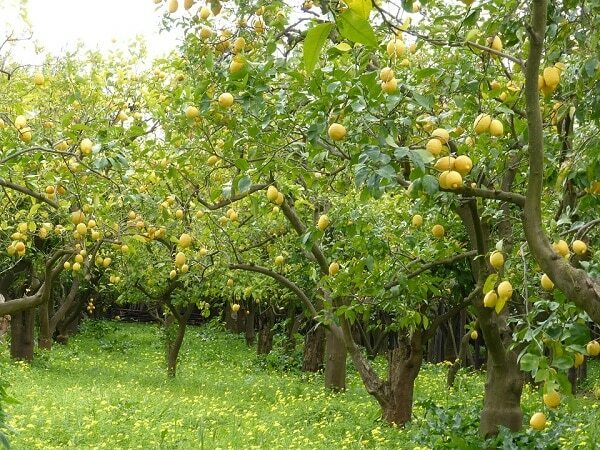 Lemon tree fertilization should take place only once or twice a year. Over-fertilization is not good for the lemon Make sure you do not add too many layers of compost or soil amendments only to make it grow faster or bigger. How long does it take to grow a Lemon Tree? Once the tree starts blooming, you can expect four to twelve months until it produces fruit. Many things depend on the variety of the lemon and its growing conditions. If everything goes well, you might have a fresh crop of lemons in about two years. How Do You Harvest Lemon Fruits? Usually, lemons may take as long as nine months to ripen. The best indicator is their size and their color. They should sport a glowing yellow shade and 2-3 inches in size. You can leave the fruits on the tree for a few more weeks for good measure, but do not leave them too long, as they may lose flavor. Keep in mind that lemons and citrus fruits, in general, do not ripen off the tree. The harvest process is fairly straightforward: gently twist the yellow lemons from the tree and put them in your fruit basket or bucket. How do You Store Lemon Fruits? 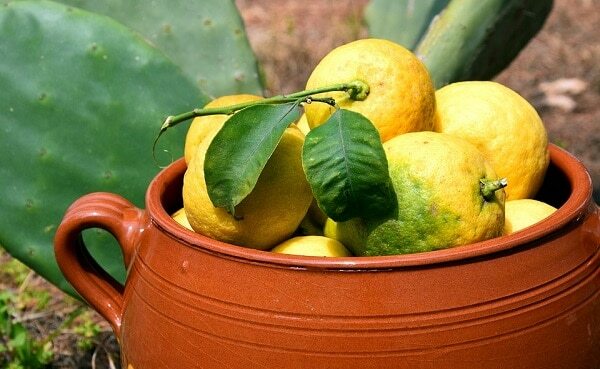 You should consume freshly picked lemons within few days from harvesting. They can sit well at room temperature and away from direct sunlight for a week, keeping their color and freshness. However, do not keep them on the kitchen counter or pantry for too much time as they wrinkle, fade, and develop patches. 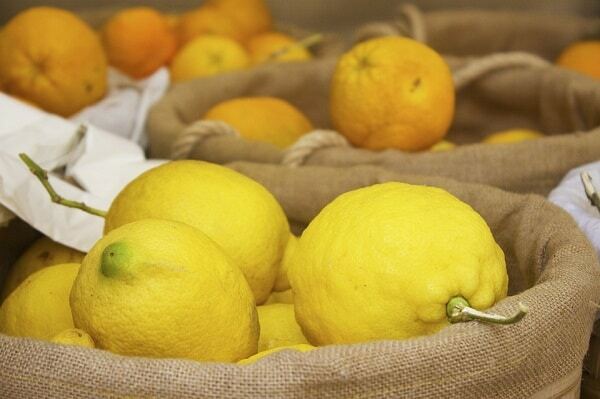 For long-term preservation, seal the lemons well in plastic bags and put them in the refrigerator. What else do you want to know about how to grow a lemon tree? Do you have other tips or tricks up your sleeve when it comes to lemon tree cultivation?